If you love LuxePineapple, and beauty boxes in general, you will love their newest bundle of joy - LuxePineapple Post! This subscription box will include everything you love about LuxePineapple and so much more. You'll still enjoy a fabulous value, quality products, and new finds that are sure to become your beauty favorites. Not only that, this box will include beauty related lifestyle items to add even more excitement to the mix. Each box will have a theme and create a unique experience you'll love month after month! When will subscriptions open? | Subscriptions will be available April 1st. How much is a subscription? | Subscriptions are $24/mo with discounted rates for multi-month subscriptions. How much is shipping? | Shipping is free within the U.S. When do boxes ship? | Boxes ship around mid-month. How many products are in each box? | Each box will have 4+ full size items with an occasional "deluxe" size item. Will LuxePineapple brand items be included? | Yes! New releases will be introduced through the LuxePineapple Post. Will there be any sneak peeks? | Absolutely! Sneak peeks start the first week of each month. What's in store for the Pineapple shop? | You'll find even more great products from the brands featured in the LuxePineapple Post. Time to spend those Pineapple Reward Points! The first box is going to be amazing! All I can tell you is that one of the items is jewelry that's perfect for spring! Exciting right? Make sure to follow @Luxepineapple on Instagram, Facebook and Twitter for all the latest updates. 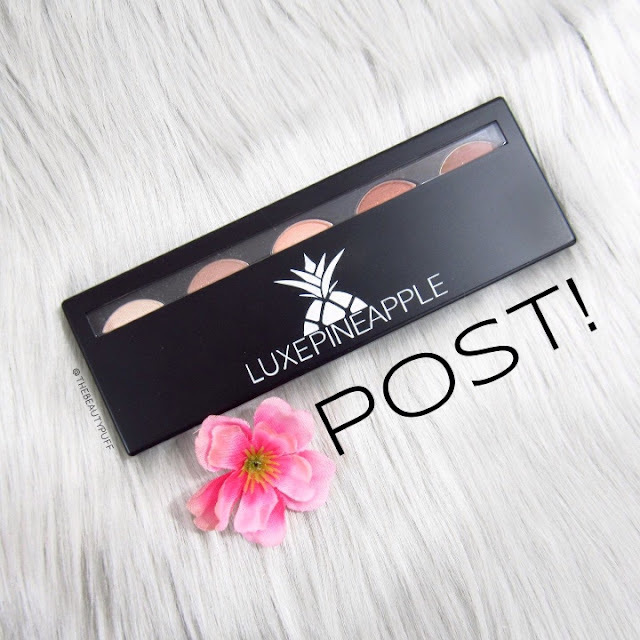 Know a friend would also love the LuxePineapple Post? Tag them on my Instagram post so they can hear about it and share the LuxePineapple love!